Import and export support for your CM Answers plugin. Allow mass imports of questions and moving content between sites. 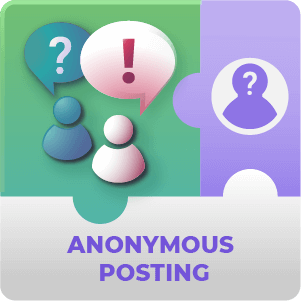 The WordPress Forum Import and Export Addon for CM Answers supports backup, export and import of questions, answers, tags, votes and categories. 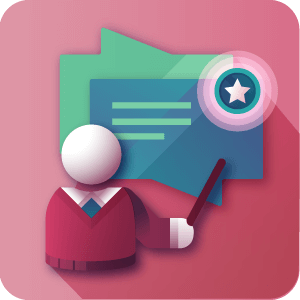 Answers Import and Export Addon supports several use cases such as moving CM Answers from one site to another, importing questions from a CSV file into CM Answers and also backing up your CM Answers data. You can purchase this AddOn together with expert support in order to help you with the migration of content between sites and from another plugin to CM Answers. 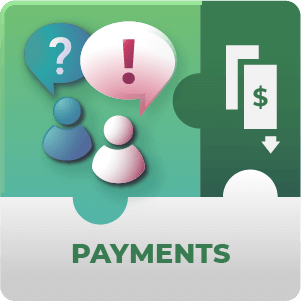 The expert support includes hands-on help to transfer the data into CM Answers. 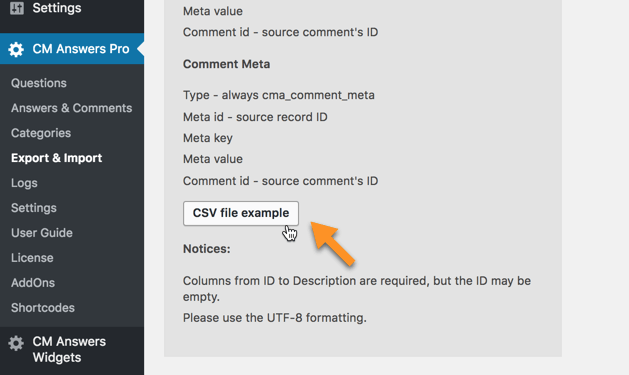 When you are importing data from another plugin into CM Answers, please purchase 90 minutes of expert support which may also include scripting work in adjusting the imported CSV into the CM Answers CSV format. The following object types (Questions, Answers) and their respective fields will be imported from your CSV file in the following order. You can combine multiple object types in a single CSV file, but you have to keep this order. Can I manipulate the exported CSV file directly or can I only change Questions / Answers through the Plugin? You can edit the Exported CSV file or even create a CSV file for import completely from scratch. There are instructions within the Plugin Settings describing column headings, how to write the information and in what order it needs to go for the Import side to be able to make sense of it. You have to options in this case. When there are no matching users found during import you can either skip these users or you can assign to a chosen user on the inbound site based on either the user ID or their login name. Can meta information for the Exported Questions and Answers CSV be modified? Yes. 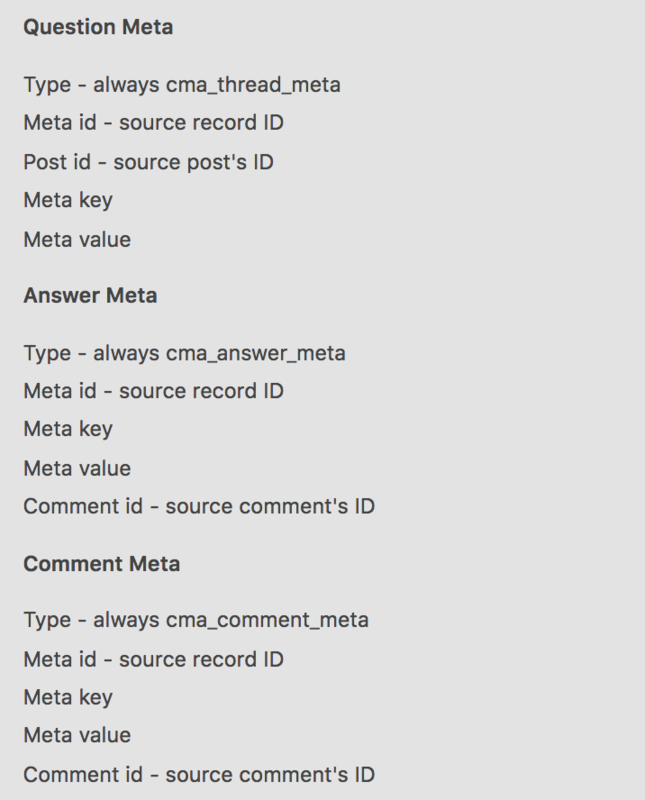 You can modify Meta information for Questions, Answers and for Comments in the CSV using a Spreadsheet editor. To learn more about modifying meta see this Help article. Can I use this Plugin to regularly update questions that have been added on one site but not another? No. 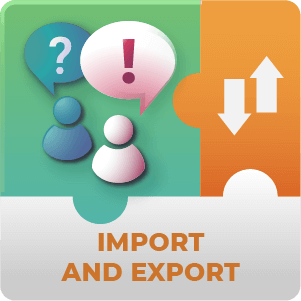 Our CM Answers Export & Import add-on will create duplicate questions and answers if you try to use it this way. 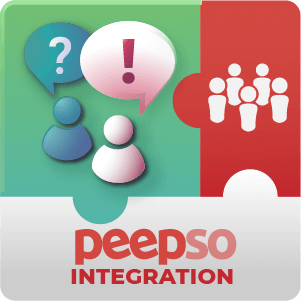 It’s great for creating backup restoration points or for doing an initial migration of your Questions and Answers from one site to another. But it’s not designed for keeping two websites syncronised in terms of their questions. I have a lot of Questions and Answers collected from a survey in a Spreadsheet that I want to add. Can I just save this as a CSV and import using the Plugin? No. The CSV needs to be in a specific format, with certain column headers and in a certain order. You could modify the questions and answers into the right format. Next you’d want to download the CSV example file and finally you would need to paste your Questions and Answers into the modified example file. Then upload this. If you’re a wizz with Excel formulae this would be a much faster approach than copy pasting them manually. 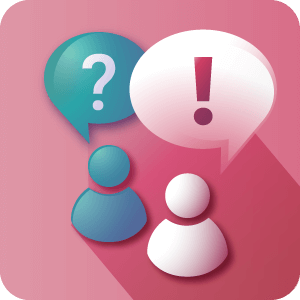 To learn more about importing questions and answers via CSV see this Help article. What information regarding Questions or Answers is Exported into the CSV file? Is it just the Question and the Answer and comments? Improved performance of the export. Fixed assigning threads to category.